Shielded Metal Arc welding is commonly known as stick welding. It’s one of the mostly used welding processes for many home use, farm based or industrial welding applications. There are numerous types of stick welding machines available at the market with varieties of shapes, sizes, features and price tags. Many beginners or entry level buyers may find it difficult to select the best stick welding machine suitable for them. Here are some tips on how to choose the most suitable stick welder for you, and also reviews on the top five stick welders. It might even help some buyers to avoid any unnecessary aspect, consequently saving a lot of money. Input power requirement: Basically welders are designed to operate on input power of 110V to 220V or 240V. The more is the power input, the more powerful will the tool be. But the machines that need higher power cannot run on normal household circuit, and require special power circuit. Go for the device that meets your power affordability. AC/DC operation: For most of the stick welding applications, DC reverse polarity welding provides more advantages over AC, which includes faster starts, fewer arc outages, reduced spatter, easier out-of-position welding and better welds on relatively thin materials. Having both AC/DC options is the best. Duty cycle: Duty cycle is a necessary aspect. A low-end stick welding machine comes with around 10% duty cycle at around 70 amps; a very good quality stick welding machine will have duty cycle of at least 35% to 60%, and the most expensive ones will have around 70% to 80% duty cycle. Choose according to your liable work load. Installation and use: Many stick welders come with easy to install and use feature, which is best for you as it will consume lesser setup time. If you are an entry level user, you must definitely go for the tool that is easy to understand and operate. Other aspects: There are many more factors that you can consider while choosing a stick welding machine, such as current control options, durability, multifunction features and many more. This welder from Lincoln is one of the best AC stick welding machines in its class. This tool is built compact and it offers extremely smooth AC arc. It can be used for welding numerous materials including low alloy, stainless steel and carbon. Lincoln Electric K1170 comes with attached input power cable and plug, making it extremely easy to install. With easy operation features, this tool is ideal even for the entry level users. The amp selector switch sets the welding current real quick and also ensures high precision and uniform arc every time. This machine is great for home, farm, maintenance and repair, light fabrication and many more. It’s a reliable tool in a very affordable budget. The new EVERLAST PowerARC 160STH is a combination of great power and stability. It can be operated in dual voltage of 110 and 220. This stick welder is IGBT inverter based and offers immensely smooth DC arc. It has been designed ergonomic and it consumes very low power with professional performance of 35% duty cycle at 160 amps. The digital control and easy connection feature makes it highly user convenient and most demanded DC stick welding machine. The additional TIG welding capability makes it even more versatile. 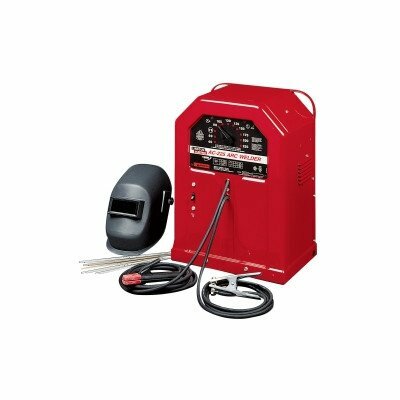 Thermal Arc W1003203 is one of the smallest DC stick welding machines. Its small in size built and inverter based feature is what makes this machine easily portable and ideal for remote welding site like fields. This tool is very affordable and offers high quality welds every time. It is capable of giving out 95 amps power output in just 115V power circuits, allowing you to cover huge range of light maintenance and repair tasks. 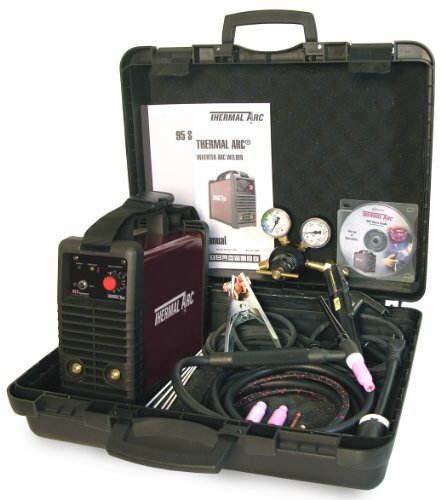 Thermal Arc W1003203 is the only one in its class that has the capabilities of both stick and Lift TIG welding. If you need something small and light but powerful, then it’s a great choice with best budget. This Stick welding machine is both budget friendly and powerful tool at the same time. 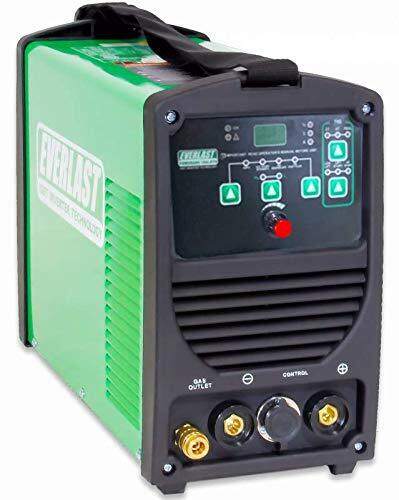 It can be operated wherever a power outlet is accessible as this stick welder can operate on dual input power of 120V or 240V. 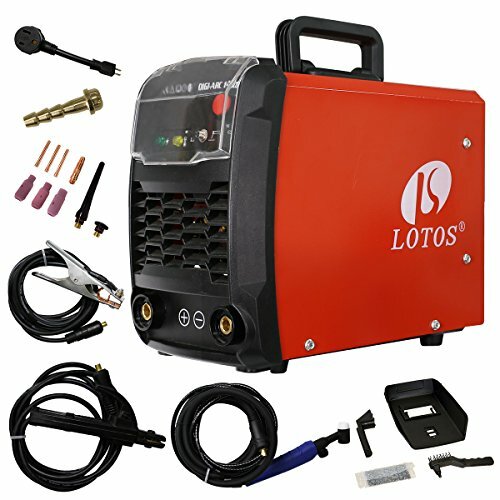 LOTOS TIG140 140amp is an IGBT inverter based tool that offers not only DC stick welding, also applicable for DC TIG welding. Almost all types of metals including ferrous, steel and copper materials can be welded effortlessly in all positions. It’s perfect for those who need portability as well as high quality performance in a very cheap price. 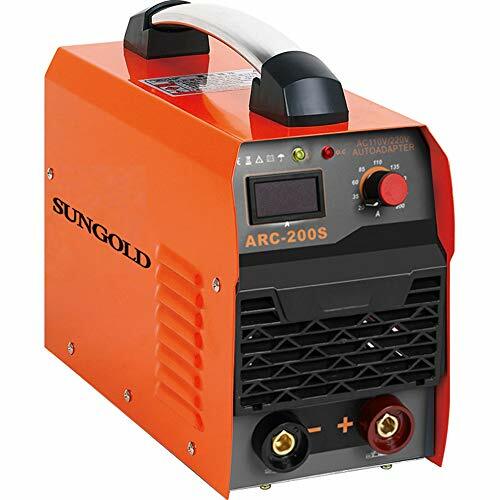 The SUNGOLD 200A 200-amp Dc stick welder is light weight and versatile tool that can be used for wide range of welding applications. Its best features are light-weight and the inverter technology. With fully adjustable current control, it allows you to change as small as one amp change at a time. The device has a built-in fan that cools the internal motor in order to provide higher duty cycle of 60% at 180 amps. It’s an excellent tool at affordable price that not only offers high arc performance, but also perfectly controlled arc. If you consider all the factors wisely, selecting the most suitable stick welding machine is not very tough. Even if you have high budget estimation but you need a less powerful unit, make sure you go with your need. Wasting money unnecessarily is not a very wise action! Just wondering about something. You said that ac/dc combination stick welders would be preferred over one or the other, but none of those type welders are in the top five. I am a certified welder and agree that an ac/dc welder is a better choice. Certain instances require different currents and one machine to handle both would be much more convenient. I know such a welder costs more but then again, you are comparing the five best welders, not the best dc or ac machine. Good call, Larry! We probably should have made this article about the most affordable ac OR dc options or picked an ac/dc welder. I am looking for an arc welder that I can plug into household electricity. I don’t want to re-wire 220 to my garage for the occasional welding I will be doing. Mostly on angle iron, some lawn mower repair, nothing fancy. I have high school welding experience only so you know my experience level. David, sounds like you need the Lincoln Electric K2185-1 115Volt MIG Welder. It’s easy to use and runs off of household electricity. It isn’t overly powerful. You shouldn’t have to worry about this model overloading your home’s circuit breaker. With that being said, we found that it’s just powerful enough to help you weld angle iron, mild steel, and other materials. Seriously. We were surprised at how powerful this little $300 model was. It welded thicker projects with ease. Plus, it’s quite compact and easy to carry around. So you will most likely feel really comfortable using it. And, you can dial it down if need be. Definitely recommend this manufacturer and model. If you need anything more powerful, Lincoln also sells a 230v MIG welder. But, you may end up finding that the K2185 does everything you need it to despite its size and price.